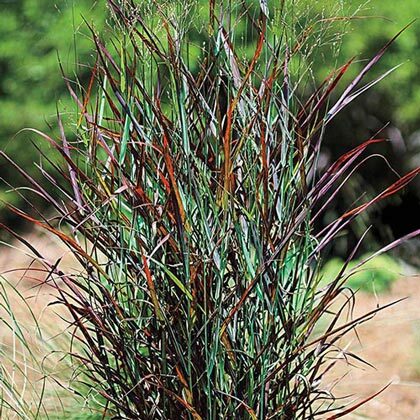 LightThis ornamental grass develops the best color when planted in full sun. Height3-4 feet. tall. In late summer, tan, elegant flower heads sway 12-15 inches above the foliage. Flower FormTan, elegant flower heads. ColorEmerges blue-green but quickly turns to red. CommentsEasy care and drought tolerant. 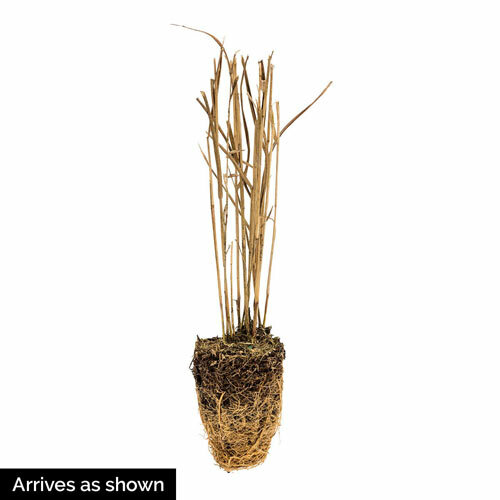 Hot Rod has firmly upright blue-green foliage that reddens rapidly until the entire plant is a deep maroon. In late summer, tan, elegant flower heads sway 12-15 inches above the ffoliage. Growing 3-4 feet tall with an 18-24 inch spread, this ornamental grass develops the best color when planted in full sun. Potted.